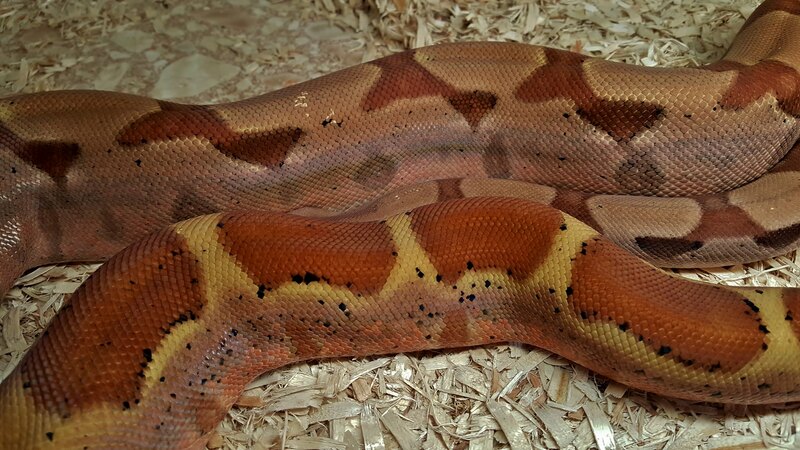 I was cleaning cages today and my Summit Pastel Hypo Jungle Het Sharp just shed so I grabbed a few cell phone pics. I love this girl, great color and a sweetheart to boot. 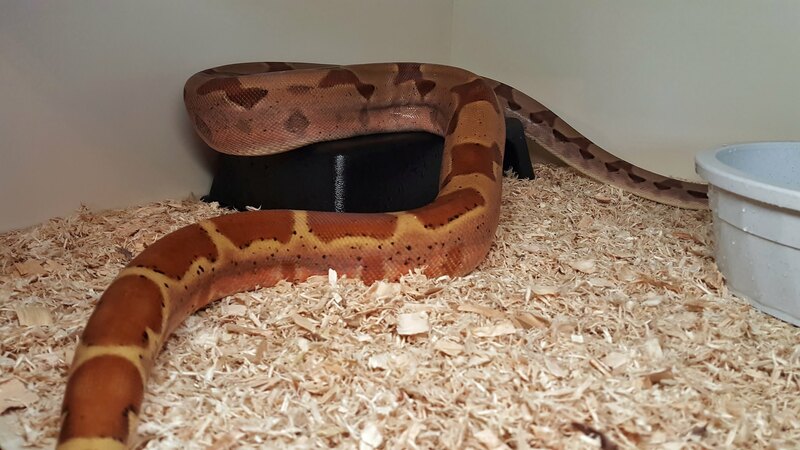 I don't like hypo's but that is a really nice one. You did well with that one Todd. 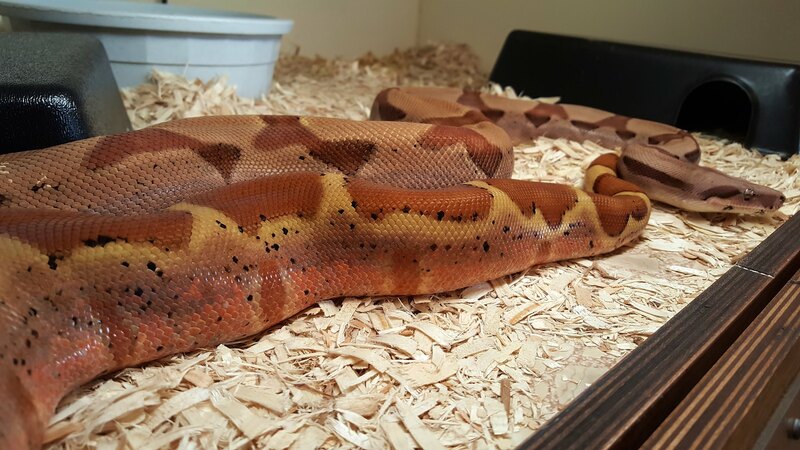 Sweet looking boa Todd. Nice job. Like the rest of us don't find random snake turds! Yeah!! I think my boas were in some kind of competition this weekend. LOL! They can be about as detailed as the patterns on their back sometime!!! fantastic boa Todd. You really have some great snakes at your place. I love every shot of that one..... absolutely gorgeous. That is one beautiful girl! Thanks for sharing! 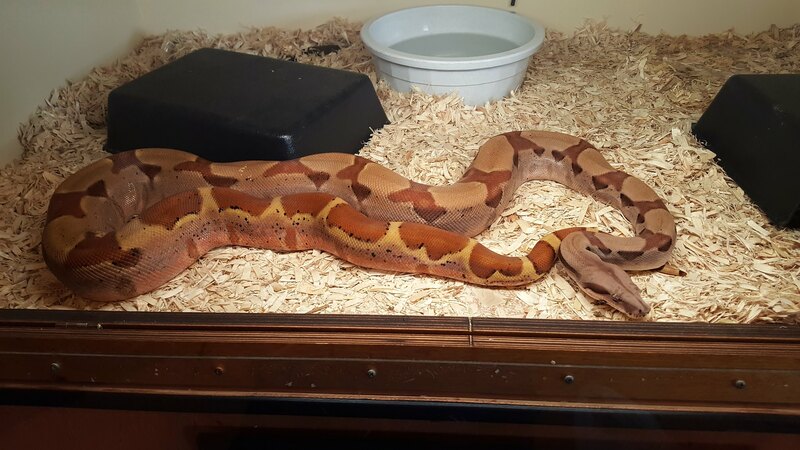 Nice boa... What kind of cage are you using, does your cage have sliding glass doors in the front. 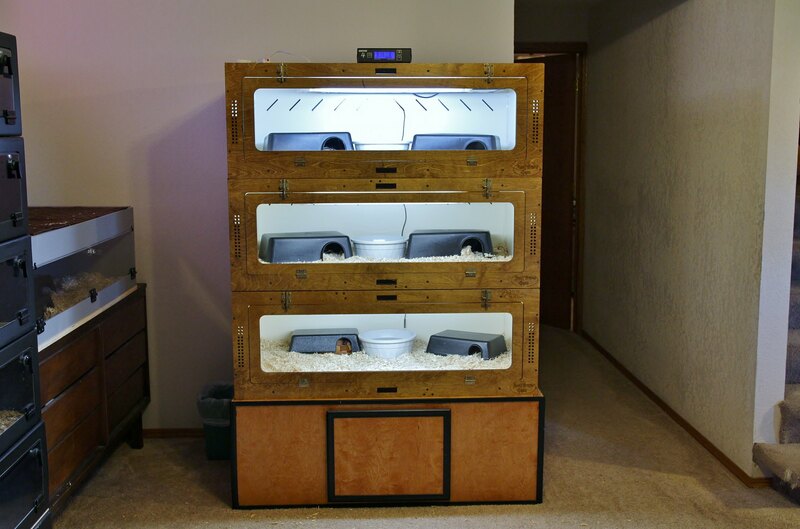 @Jrock23 Thanks, That is a Boa Master cage with a swing down door. Nice.. are they good with shipping. 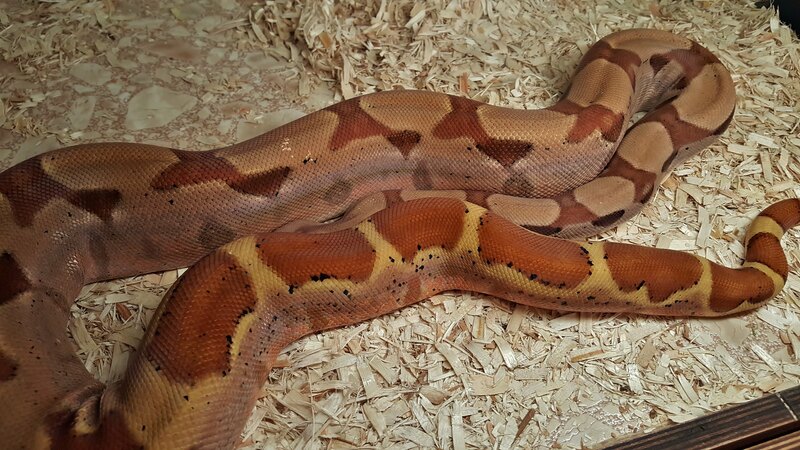 Because I will need something wide and long in the future for a couple of retics that I have. I had a few problems with the way UPS handled them. They are packed good but were obviously mishandled due to there weight. These are 48x28x17 and weigh about 75lbs each. Mark definitely made it right with me but it was still a bit of a hassle. Although they do hold heat and humidity extremely well for a 6 or 8 foot cage I would probably look into a plastic one. 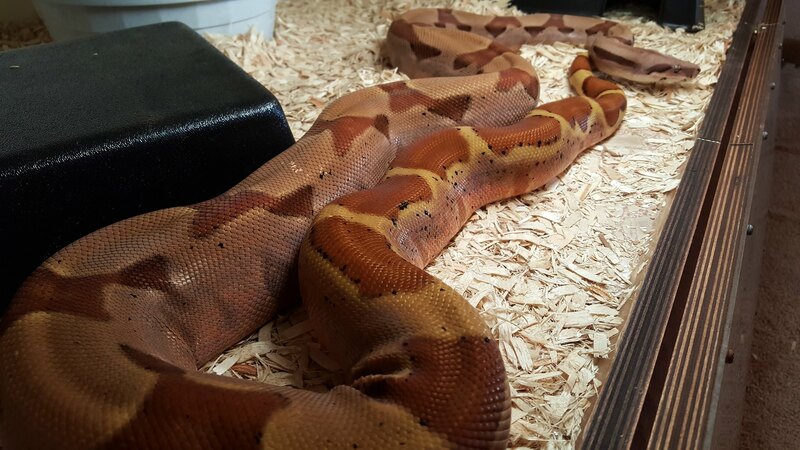 Unless you could go pick it up or have Mark bring it to a Reptile show and don't mind having one heavy cage.